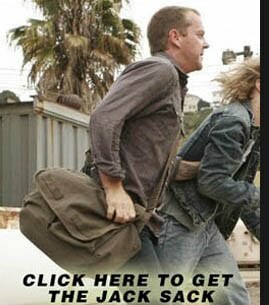 The Jack Sack™: Chuck Norris Responds To Jack Bauer's Ad! Adam, er, Jack...tag on the new meme. These videos will be appearing shortly at my place. Nice job. Thanks, Sr. Furioso! I'll get to the meme tonight! You know what would be all sorts of fun? Jack Bauer hosting that "Moment of Truth" show on Fox. Get cracking imovie wizzard! Crap, Mr. F got to you before I did!